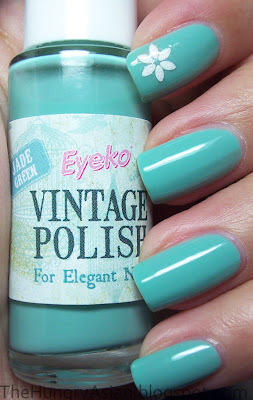 I had a chance to try out some Eyeko polishes, my first impression was I liked their slim bottles. I went right for a dark purple first! These were sent to me for review by Eyeko, it does not alter my opinion in any way. Purple Polish, 2 coats with a coat of Diamont. This was very thick, I needed a few drops of thinner and application was still so-so. This is a very bright purple. 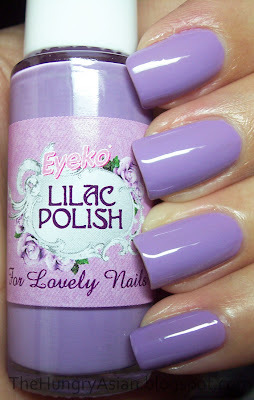 Lilac Polish, 2 coats no topcoat. I was so surprised I only needed 2 coats! This one was also a bit on the thick side, I didn't add any thinner since I needed one less coat. Very pretty pastel lilac creme. Vintage Polish, 3 coats with a coat of Diamont. This one was also a pain to apply, thick and goopey. I do like the color a lot. I decided to do a wear test using this one. I think this photo is day 2 or 3, I added a nail decal from Nailene to spice it up a bit. As you can see this wore really really well, I had to take it off on day 7. Not because it was horribly chipped, but because that's a long time to go wearing the same polish! 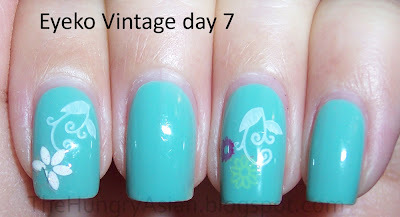 I have very minimal tipwear, and the only casualty was a petal of the flower decal on day 5. I did some pretty bad Konad over it on day 4 lol. Application for the most part was not the best, quite difficult actually on couple of them for me. My favorites were Lilac and Vintage, very pretty pastel colors just right for Spring. Wear was fantastic and I liked the cute labels. 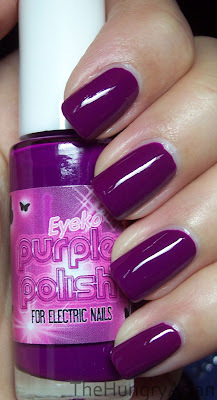 You can purchase Eyeko polishes at Eyeko.com. 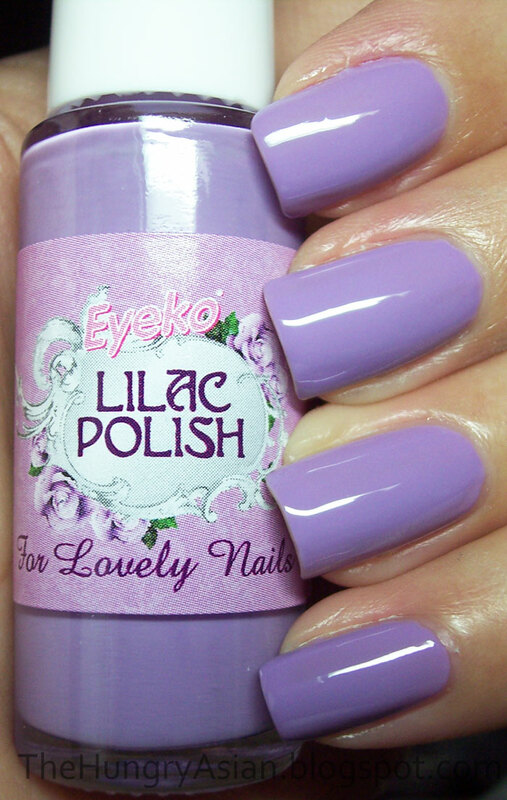 Each polish is £3.50 and orders over $50 ships for free to the US.